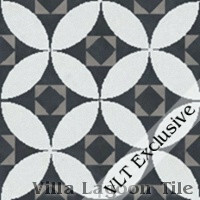 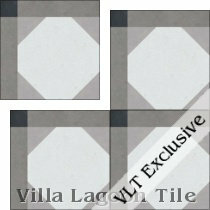 Villa Lagoon Tile's Exclusive collection of encaustic cement tiles inspired by the marble floors of St. Mark's Basilica and Venice. 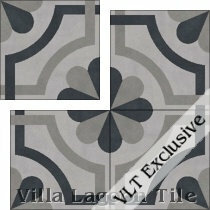 Italy has inspired us to create a marvelous cement tile series. 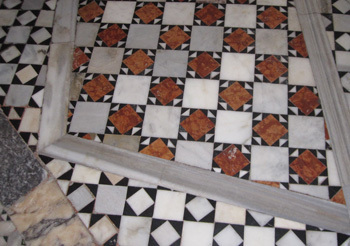 In our travels we have walked for miles taking photos of floors while all around us other people are taking photos of walls and ceiling, altars, or loved ones with big smiles. 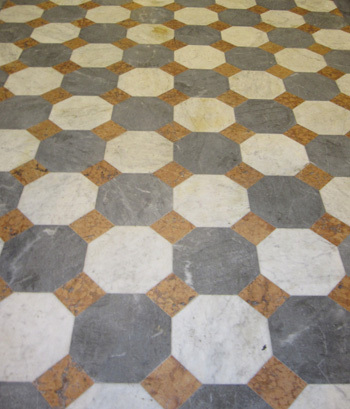 We can't help it. 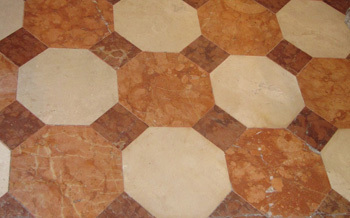 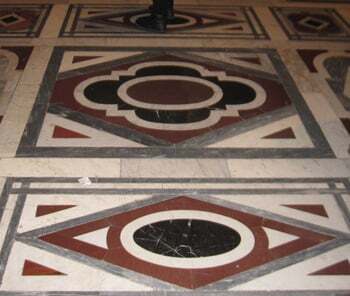 It is the fabulous floors with the geometric magic that fascinate us. 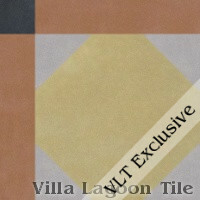 Our colors in this new tile collection reflect the traditional marble found on floors all over Venice and Italy. 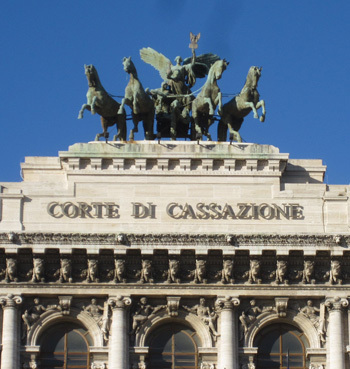 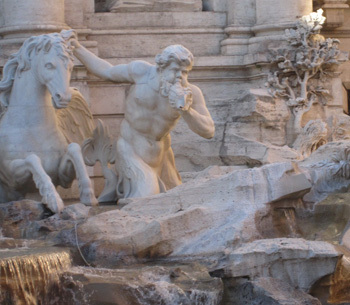 Venice is a coastal island city, and the culture and arts reflect the seafaring history of Venice. 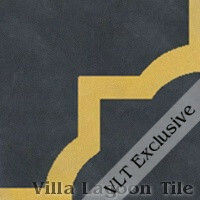 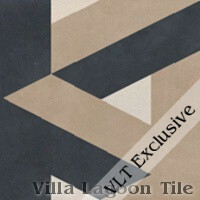 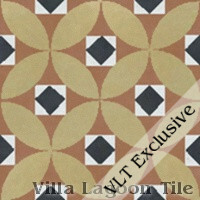 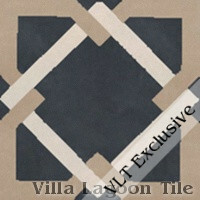 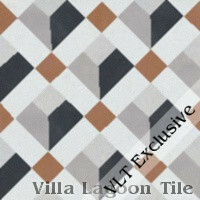 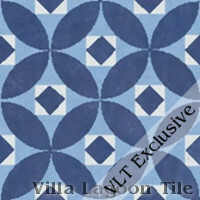 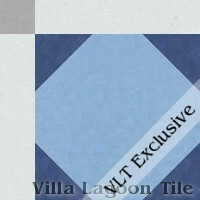 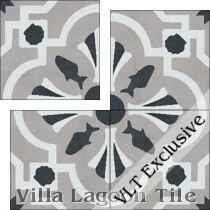 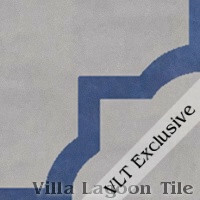 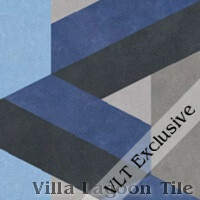 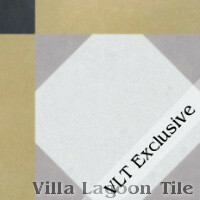 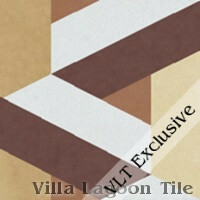 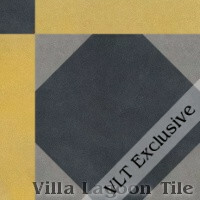 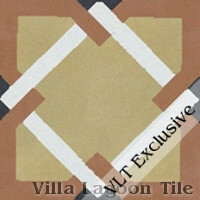 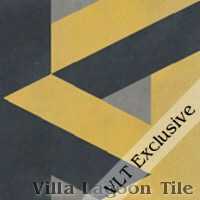 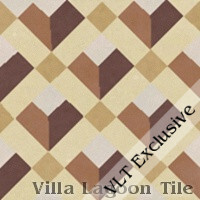 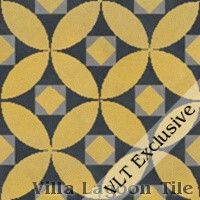 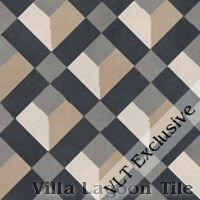 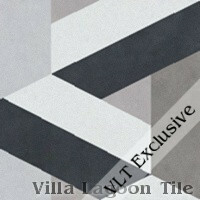 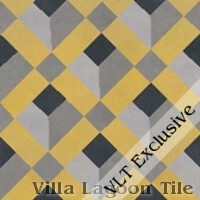 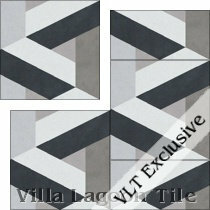 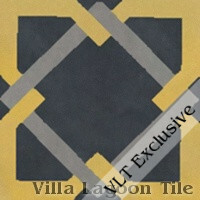 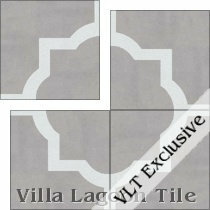 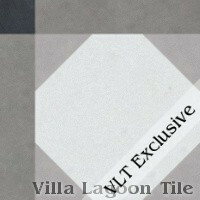 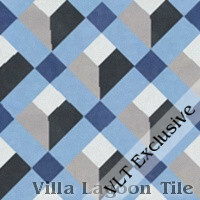 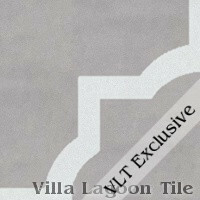 In Villa Lagoon Tile's Venetian Series are two tiles which contain elements of the sea. 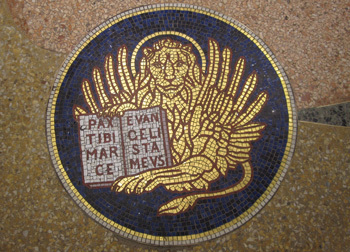 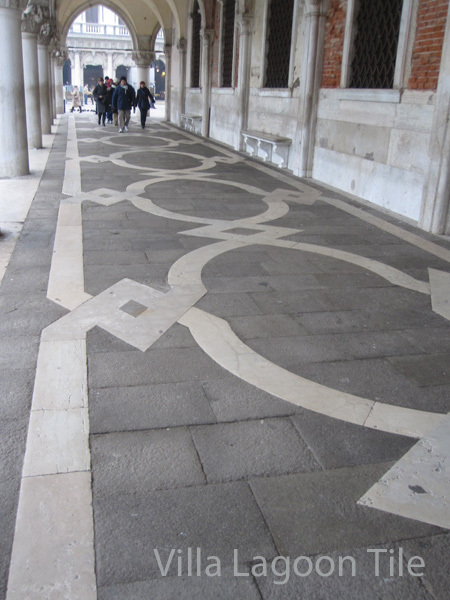 The floor of St. Mark's church in Venice is a marble carpet spread over 2000+ square metres. 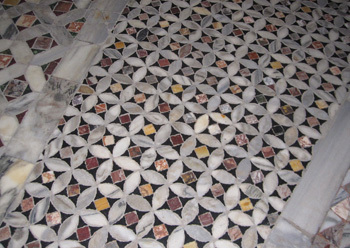 The great wealth of Venice not only afforded highly precious marbles but also secured a workforce of craftsmen who, in all probability, were brought to Venice from Constantinople or Byzantine Greece, including the architects and mosaicists who adorned the walls and ceilings. 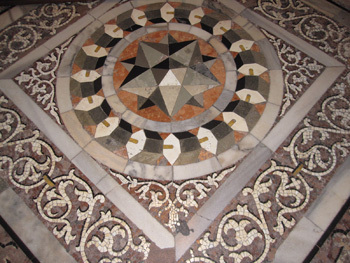 Venetian taste for richly decorated surfaces can be seen everywhere you look. 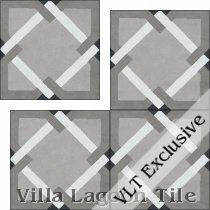 See all our In-Stock Tile Here. These patterns may be customized using any of our South Beach Color Palette colors. 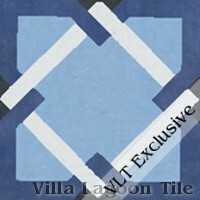 Permit 10-14 weeks for production and delivery. 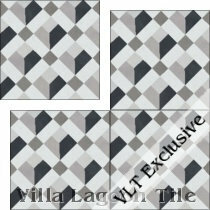 Custom tile requires a minimum total order of 50 square feet. 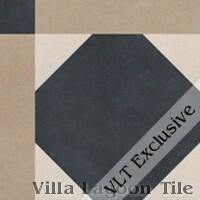 You may consider finding complimentary patterns, borders, and corners from the South Beach Color Palette, to go with your Venetian Series tiles. 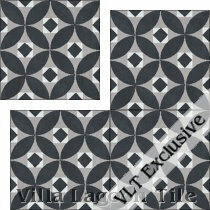 These patterns are all 8" square, other sizes may be available with a small setup fee. 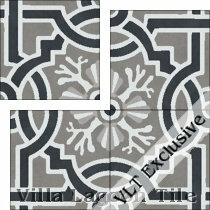 See solid-color installations that showcase the rich variation of cement tile.